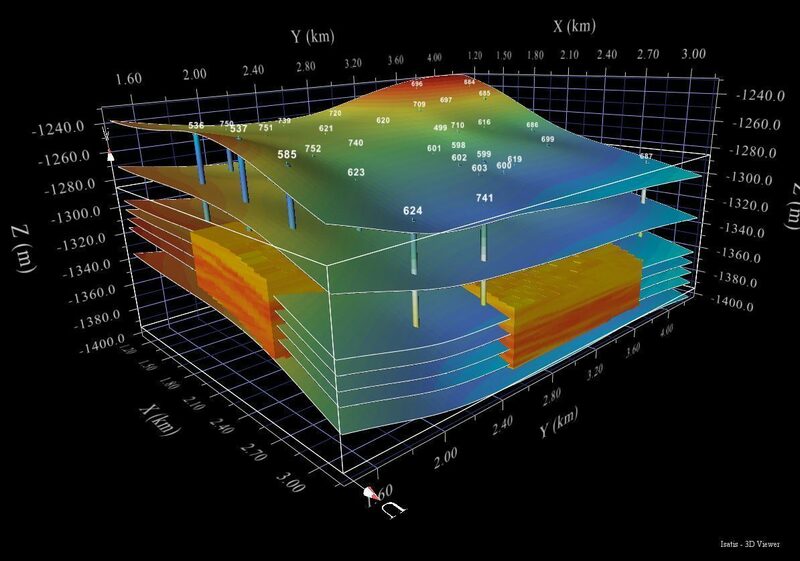 Building accurate geological surfaces in depth is critical for reservoir structural model quality. Geostatistics helps enhancing velocity models used in time-to-depth conversion with data-driven filters for removing acquisition footprints. Data integration capabilities provided by multivariate geostatistics and uncertainty quantification with geostatistical simulations lead to well controlled geological horizons. Geological structures are classically picked from seismic profiles in the time domain. In order to create a reservoir model or compute volumetrics, these time interpretations need to be converted to depth and calibrated to well markers. Time horizons or velocity are commonly impaired by noise, acquisition artifacts or footprints due to seismic processing and/or seismic interpretation. Geostatistics provides adaptive data driven filters based on variogram analysis and factorial kriging to efficiently remove such artifacts. Exploratory data analysis allows identifying outliers, data clusters or trends. Also, it helps in understanding the correlation between variables and gives quantitative/qualitative information on major spatial data structures. The principal benefit of geostatistics is to allow controlling the spatial coherence of data. Geostatistics enables the analysis of seismic data through a probabilistic approach, based on a spatial variability analysis. It characterizes the spatial structure of the parameters. Geostatistics provides algorithms to integrate data of different nature. The main approach used in time-to-depth conversion is kriging with external drift (KED) or kriging with Bayesian drift. It is an exact interpolator, meaning that the well data are honored. In addition KED accounts for trends thus replicating strong spatial variations of reservoir properties. Geostatistics allows assessing the uncertainty in your velocity or impedance volumes by applying stochastic simulations. With geostatistical simulations, it is possible to generate equiprobable realizations of a property using the same model parameters (input data, variogram, etc.) in order to quantify GRV uncertainty.